This gray colored TI-30X IIS was manufactured by Kinpo Electronics, Inc. for Wal-Mart, the largest grocery retailer in the United States. 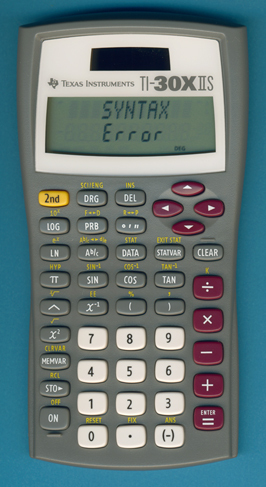 It was released for the Back-to-School 2011 campaign together with its red and blue siblings and the TI-84 Plus Silver Edition in matching colors of pink and blue. Disassembling this model of the TI-30X IIS manufactured in February 2011 reveals a well known internal construction. We discovered already in 2004 with Inventec Shanghai, Kinpo Electronics, Inc. and Nam Tai Electronics, Inc. three different contract manufacturers for the TI-30X IIS. In Summer 2013 two retailers used a slightly revised design of the gray TI-30X IIS: Amazon and Wal-Mart (in alphabetical order). Don't miss the TI-30X IIS Wannabe sold in 2014 by fred's.